iPhone models, starting with the iPhone 5S, include a sensor on the Home button that can be used as a fingerprint reader. This allows you to perform certain options on the device, such as unlocking, by simply placing your finger or thumb on the sensor. But this feature may not work well for everyone, or it might work too well and unlock your device when you did not want to. 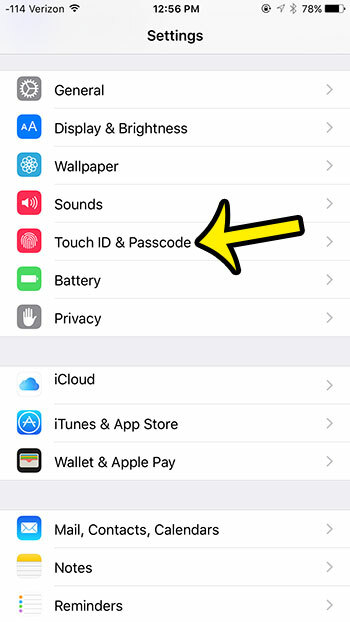 So if you have decided that you no longer wish to use the Touch ID as an option to unlock your iPhone, then you can follow our guide in this article so that the only way to unlock your device is with a passcode. 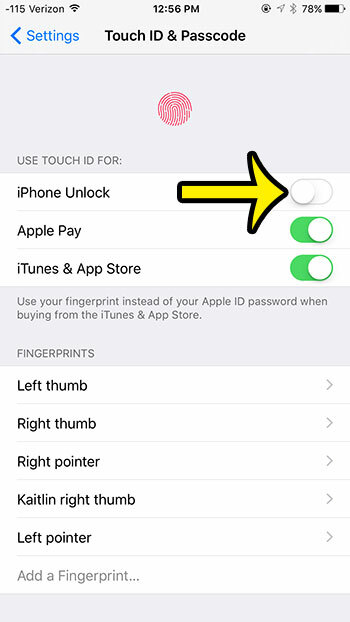 The steps in this article will turn off the Touch ID option for unlocking your iPhone. You will still be able to use Touch ID for Apple ID and for the iTunes Store if you wish. However, you can also turn those options off on the same menu. 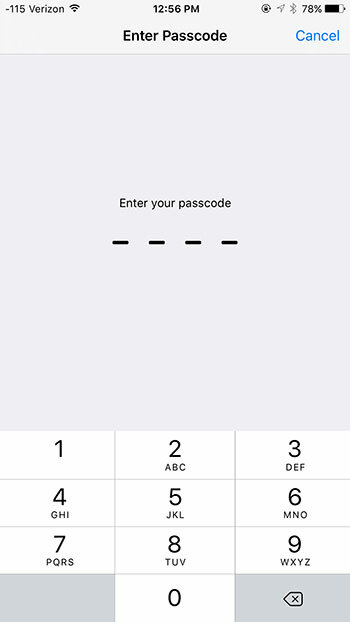 Once the Touch ID is turned off, your device will only be able to be unlocked with a passcode, if you have one set. If a passcode is not set, then you will be able to access the device simply by swiping to the right on the lock screen. Tap the Touch ID & Passcode option. Enter the device passcode, if one is set. 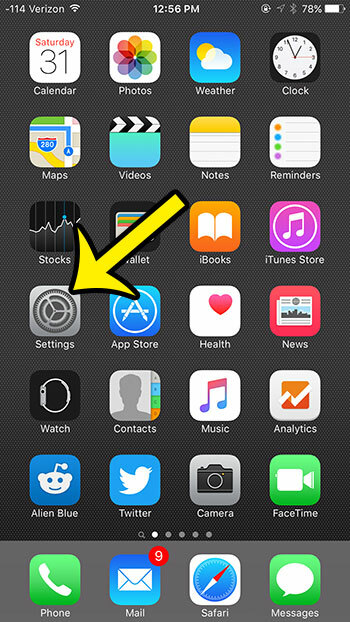 Tap the button to the right of iPhone Unlock in the Use Touch ID For section. The option is turned off when the button is in the left position, and there is no green shading around the button. The Touch ID is turned off in the picture below. Are you having issues with the battery life or cellular data usage on your iPhone? Learn how to turn off background app refresh on you iPhone to potentially help with both of those problems.